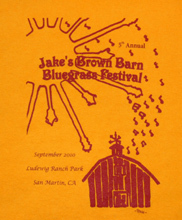 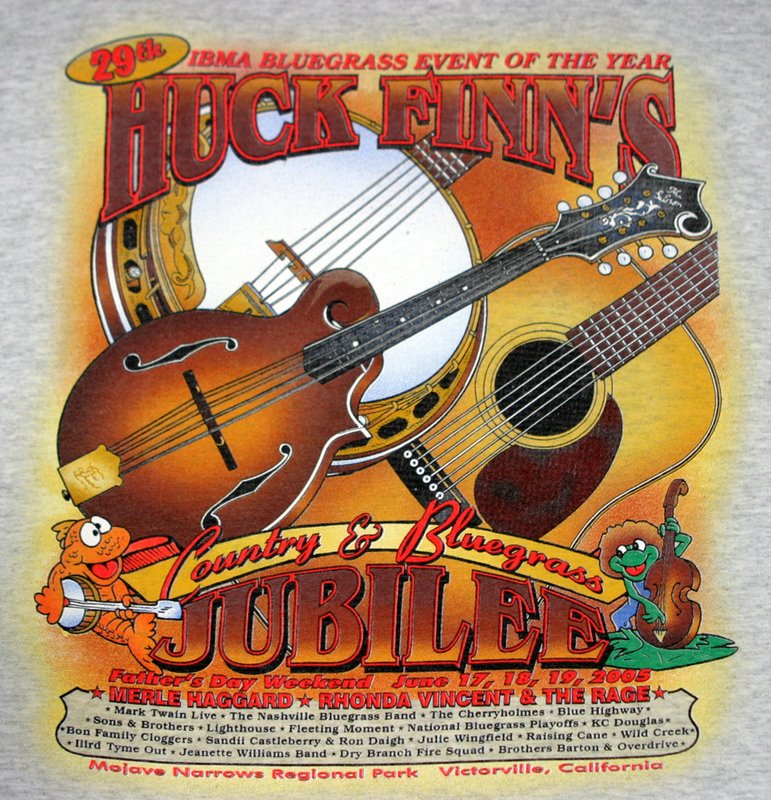 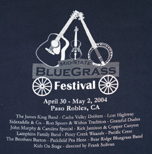 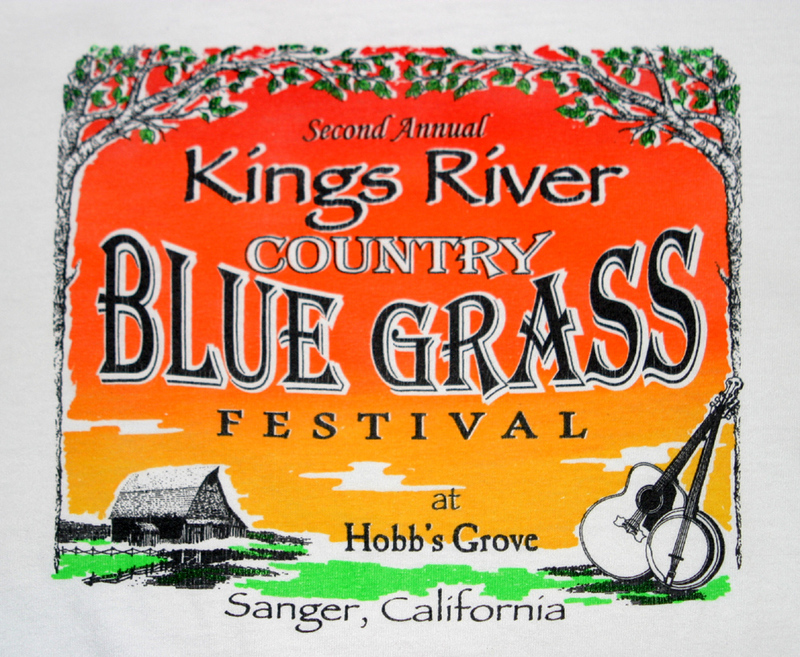 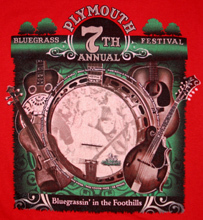 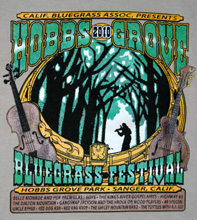 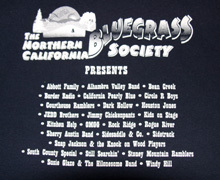 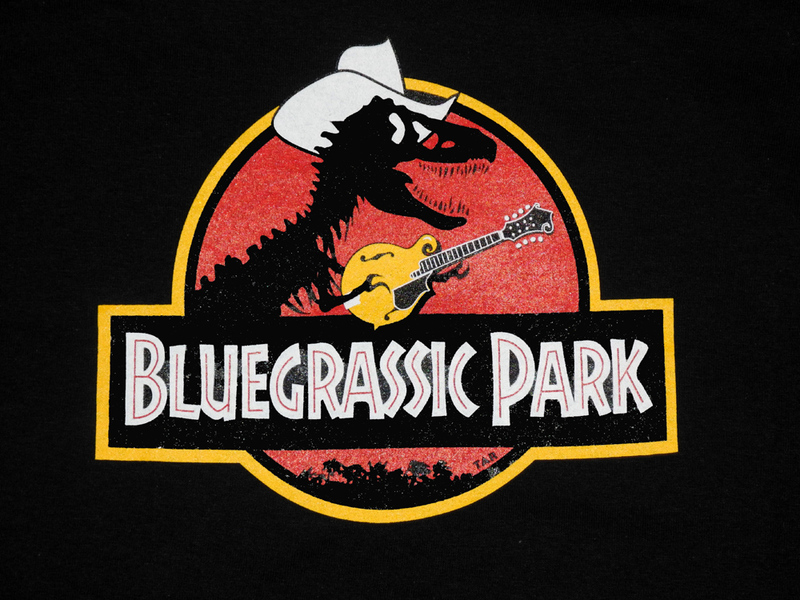 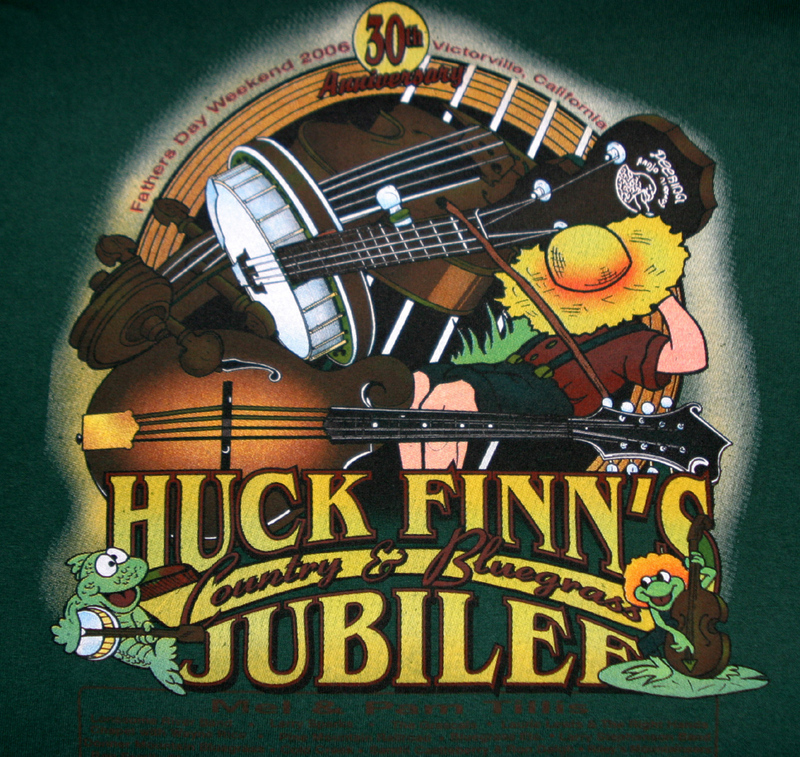 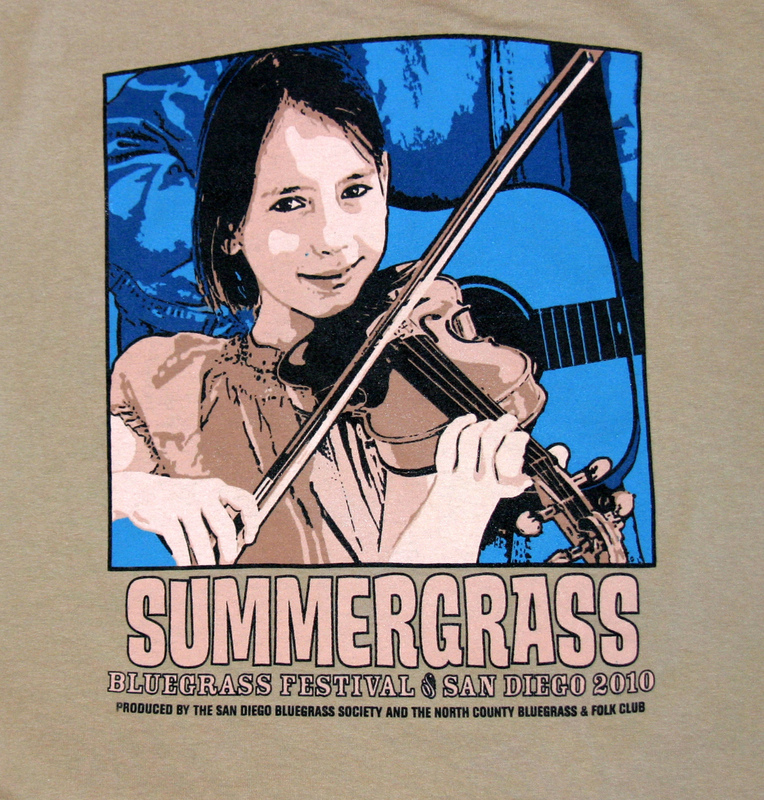 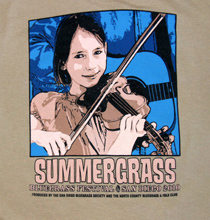 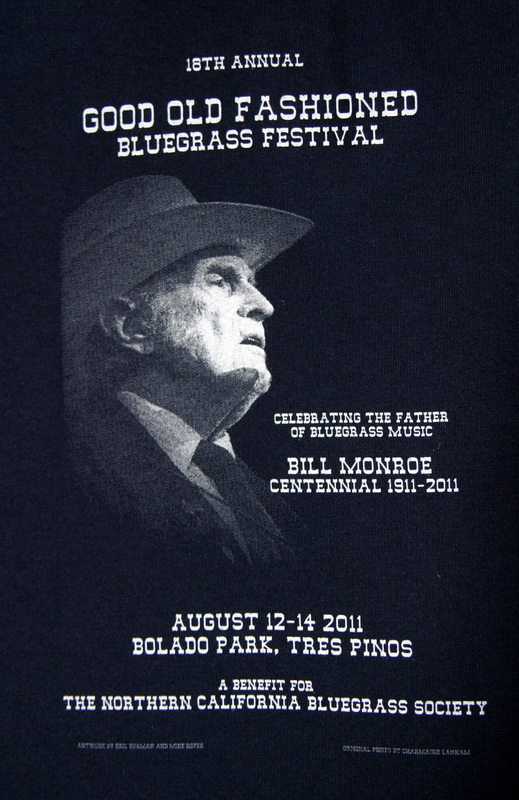 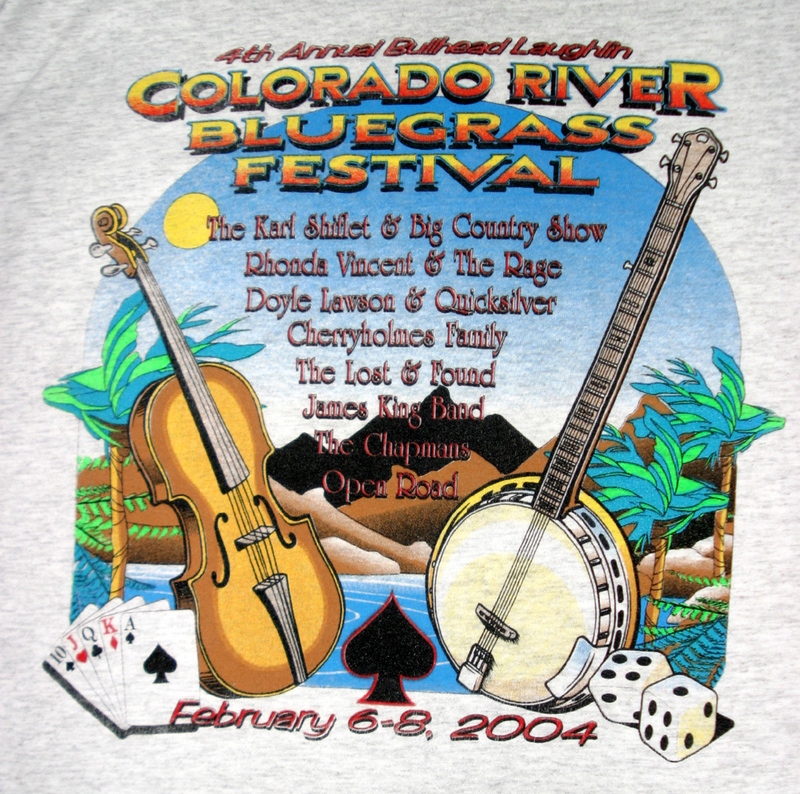 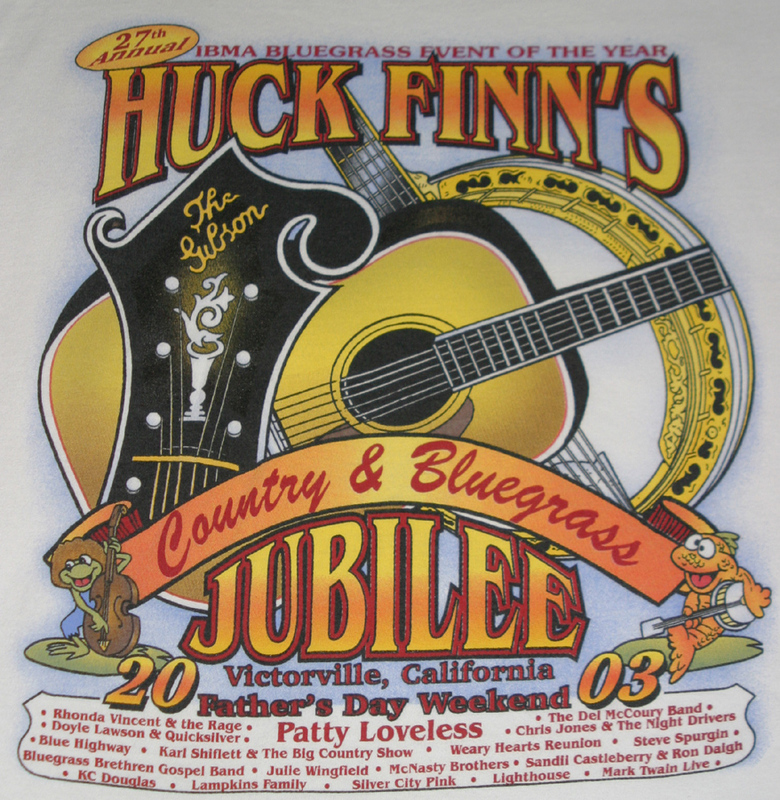 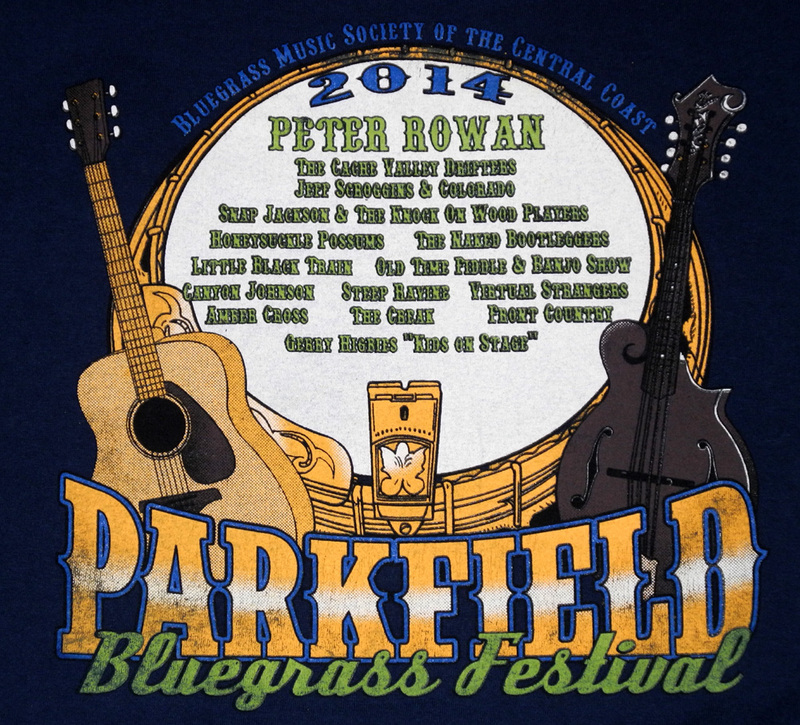 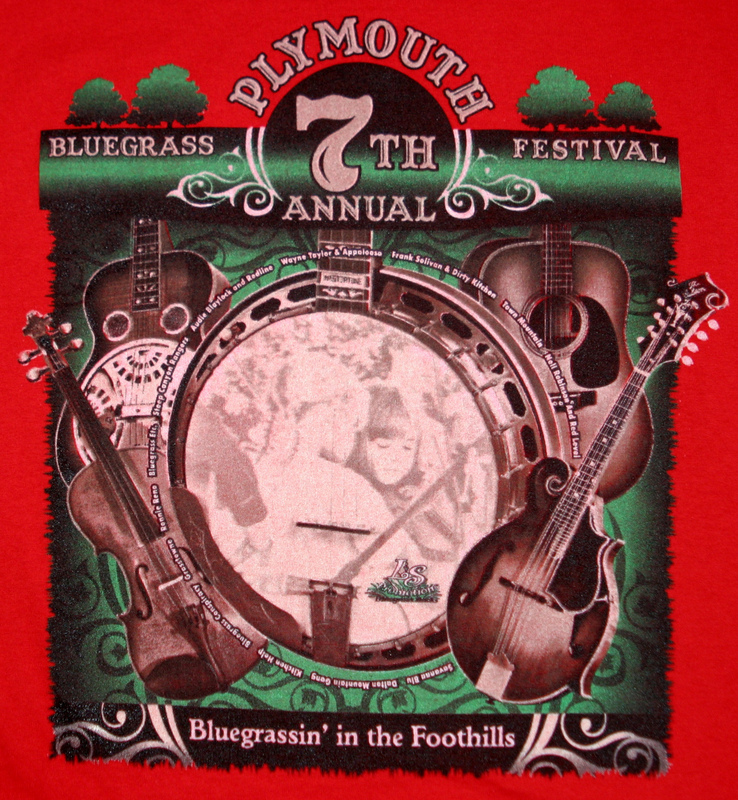 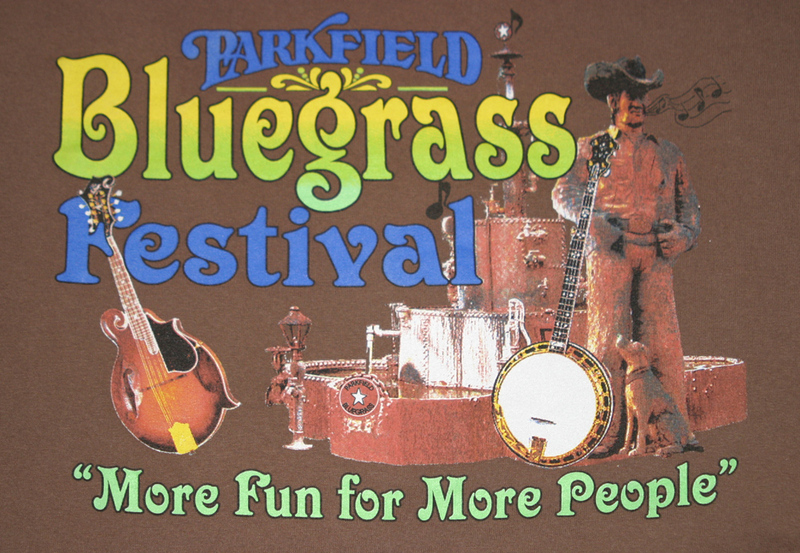 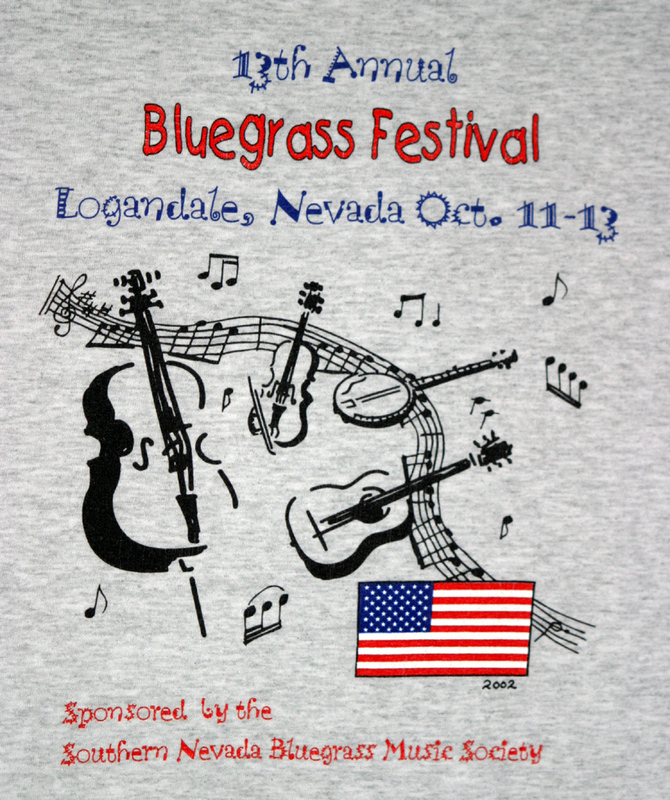 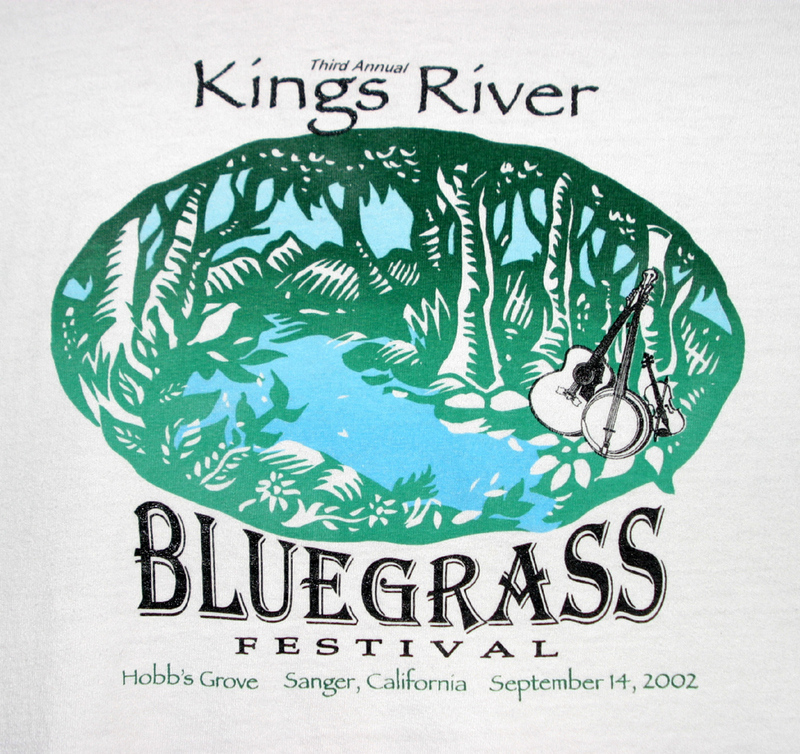 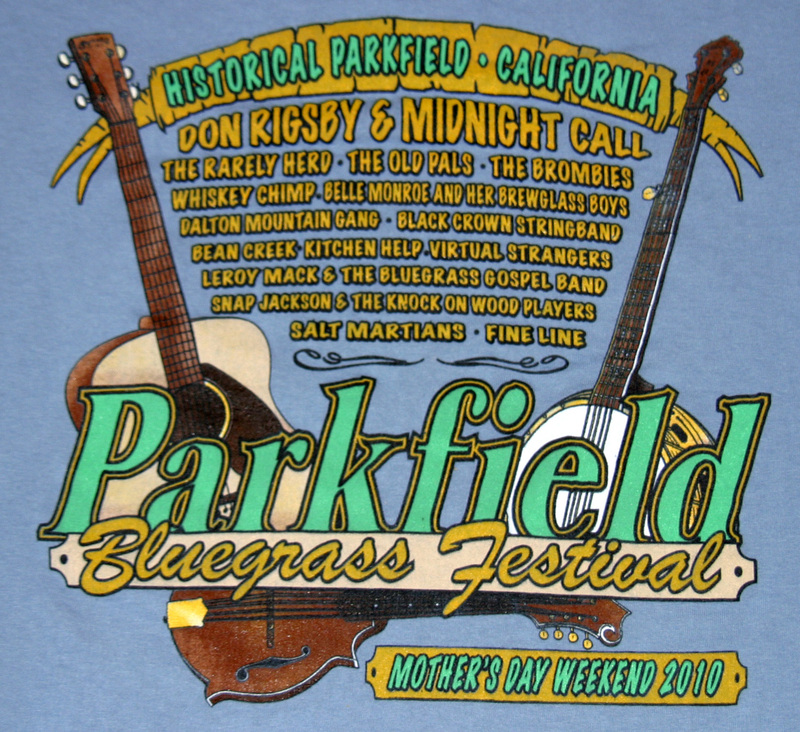 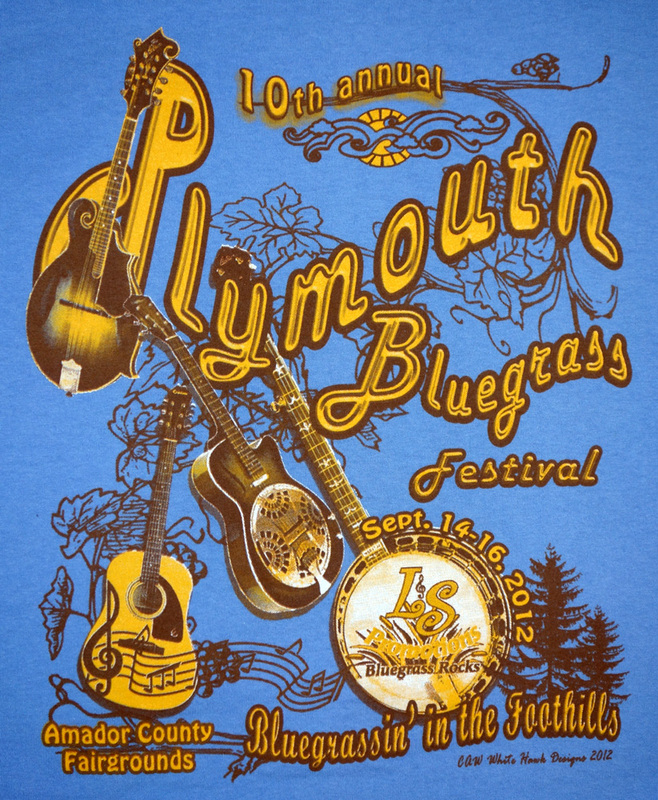 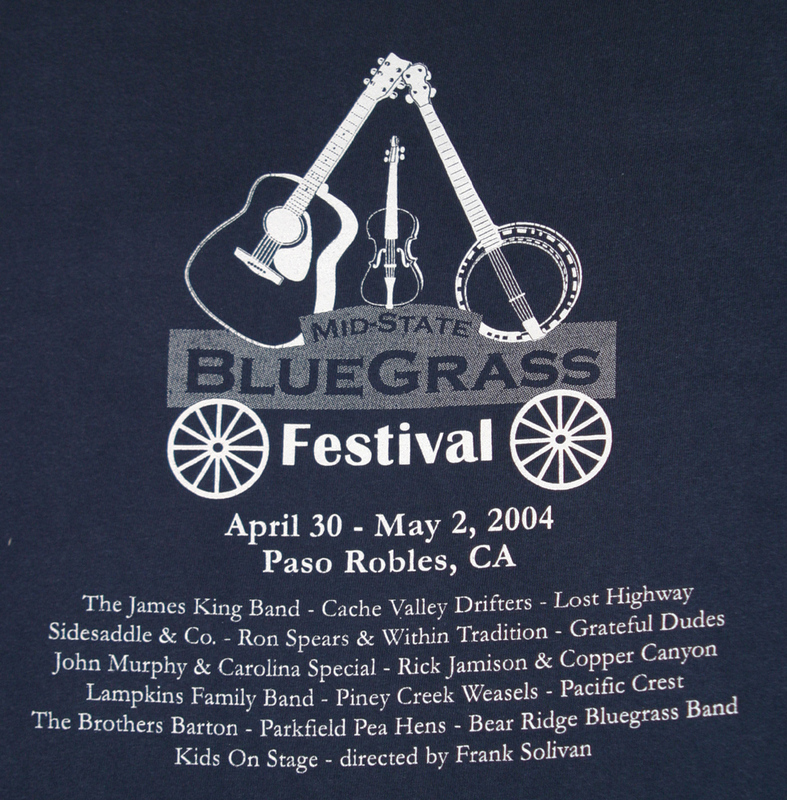 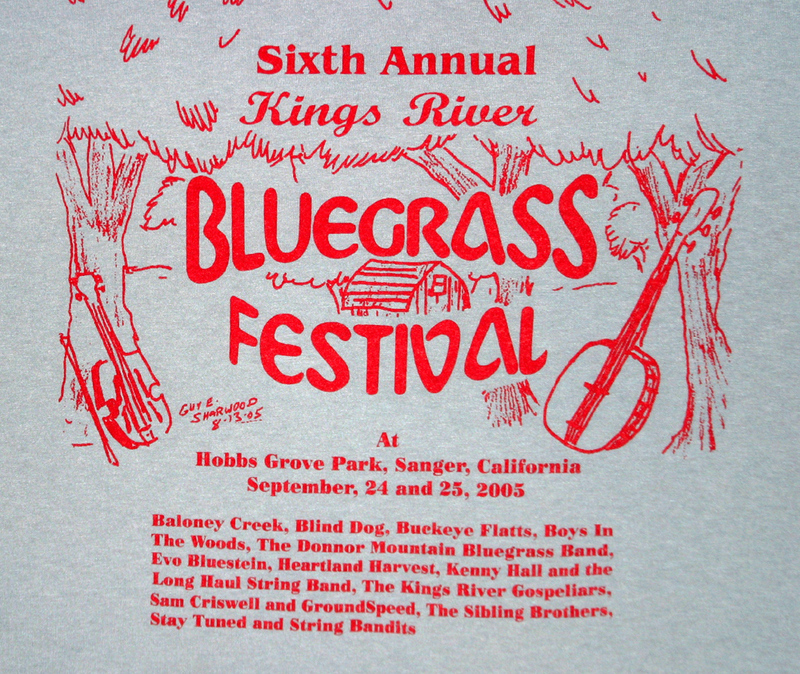 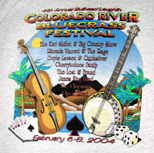 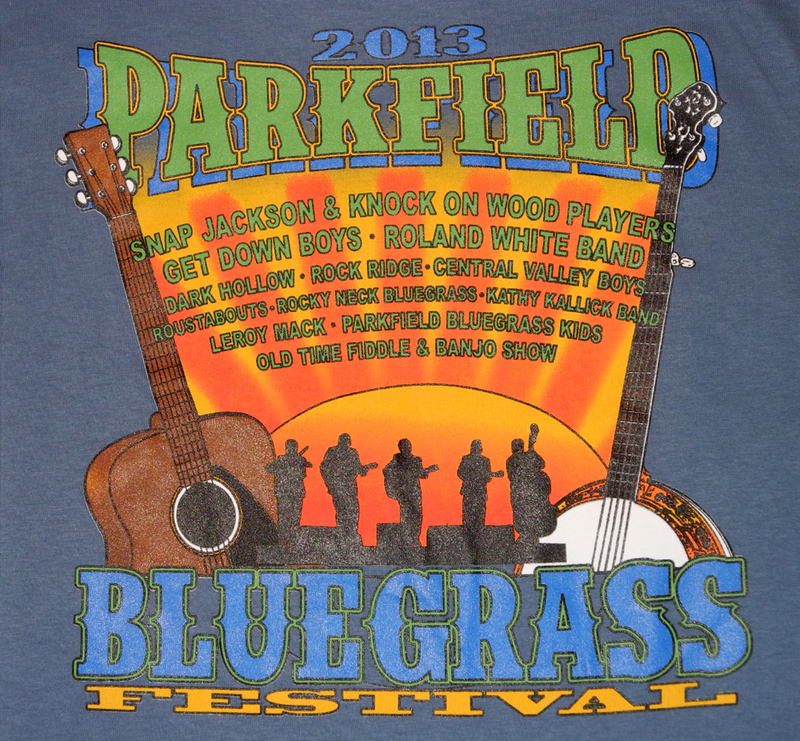 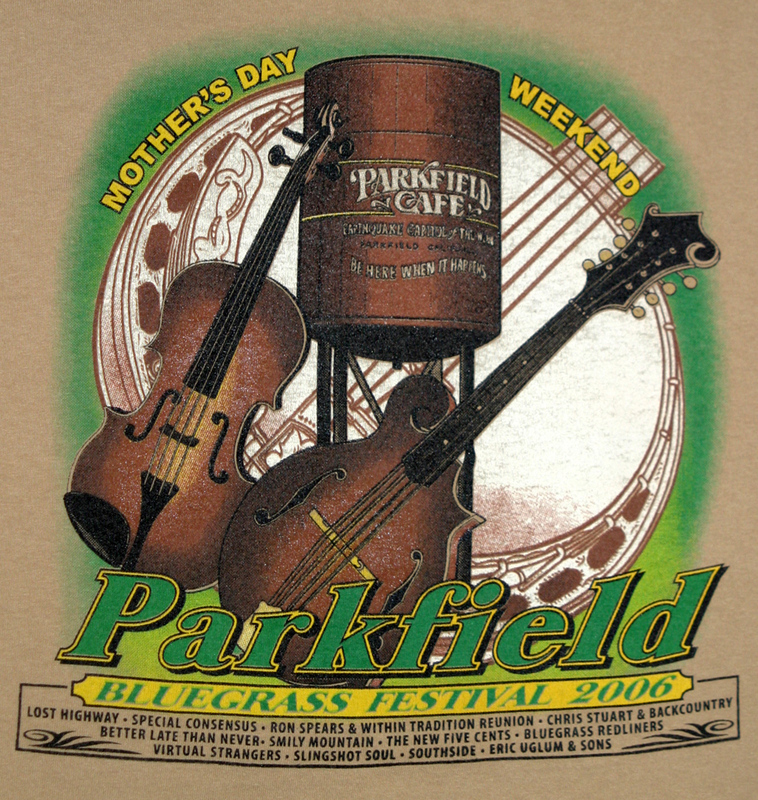 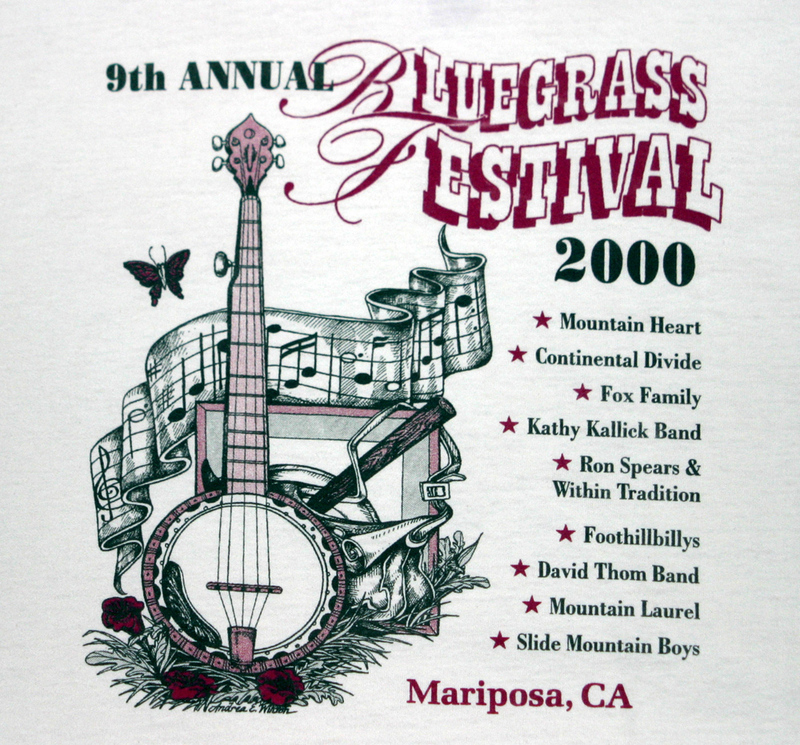 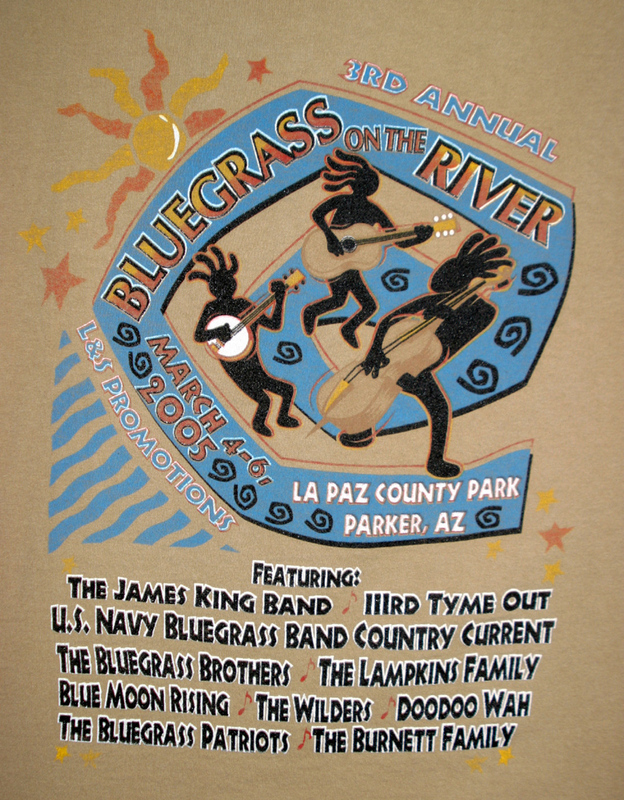 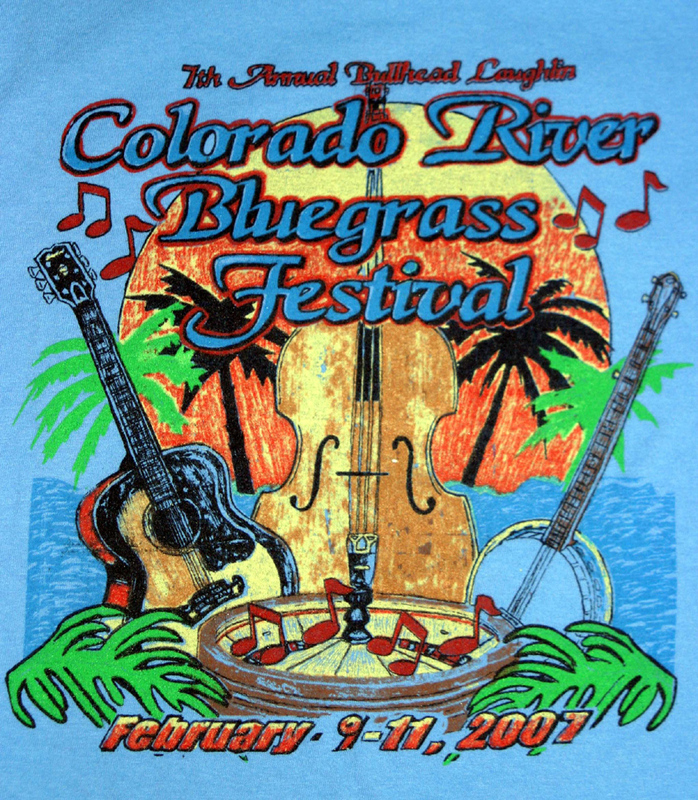 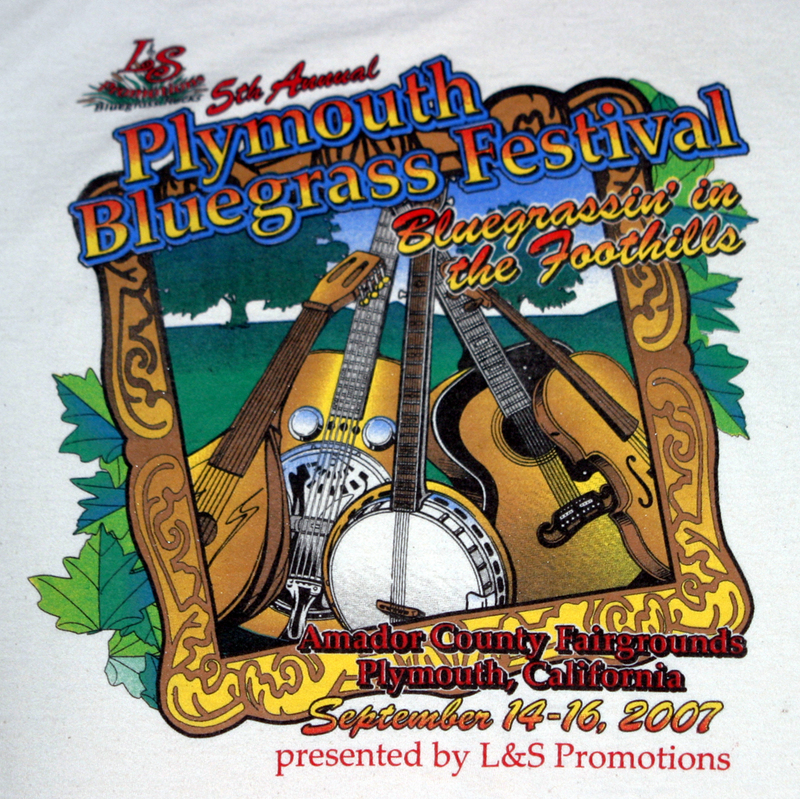 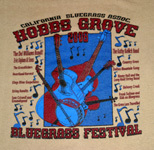 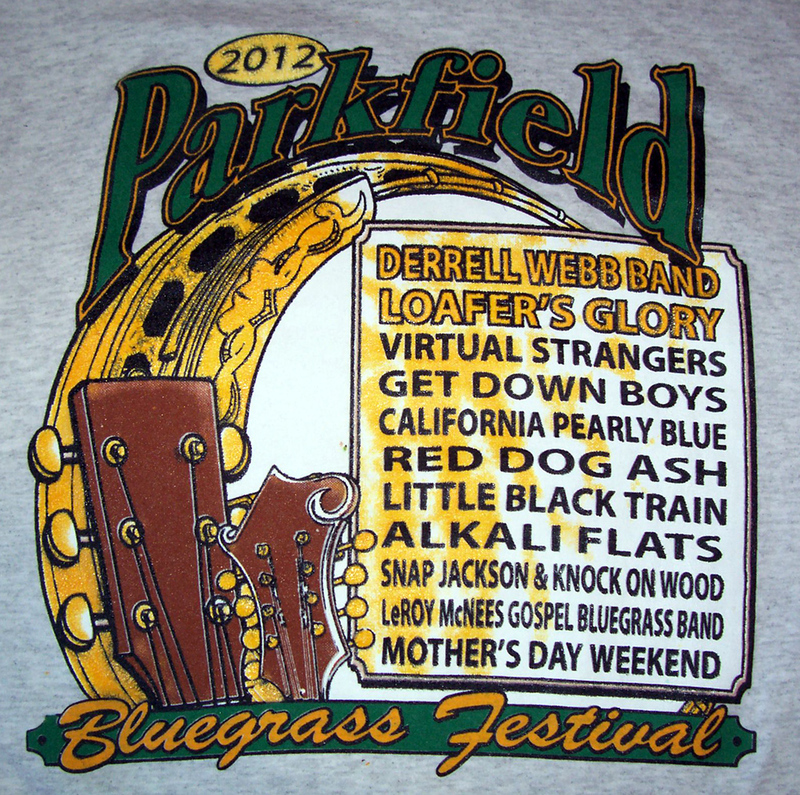 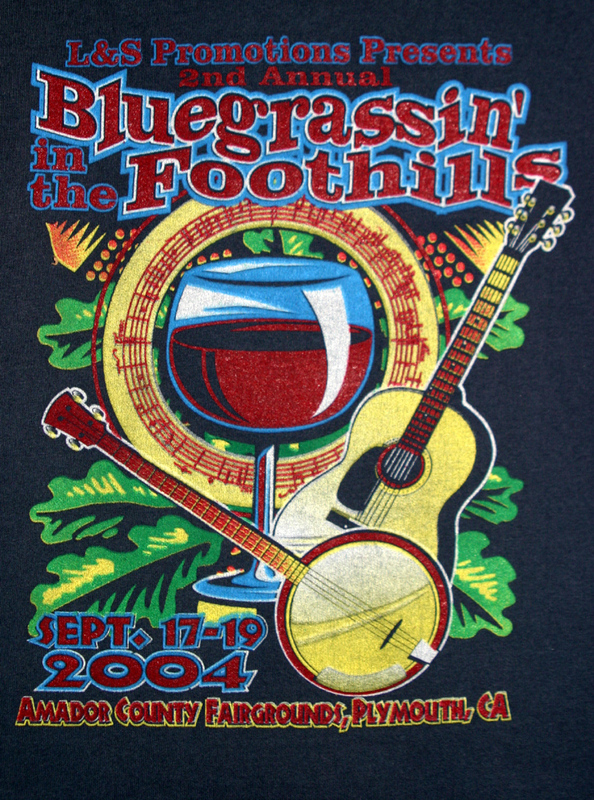 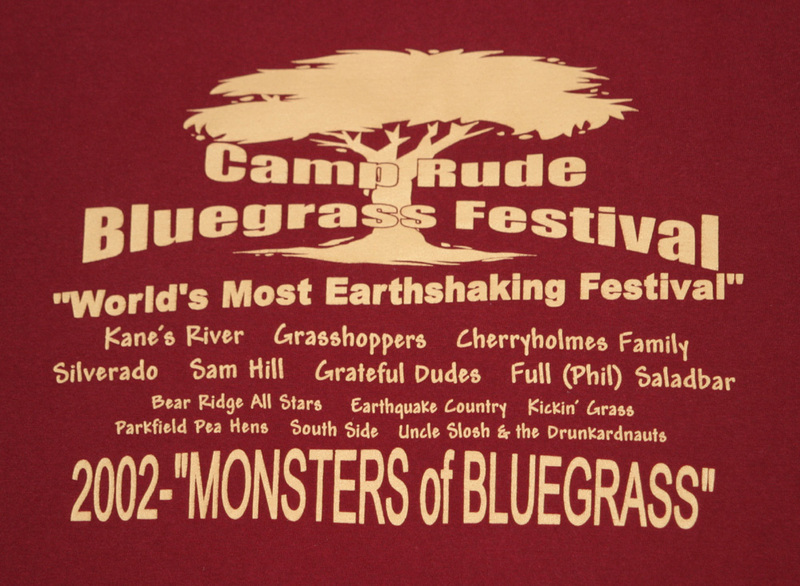 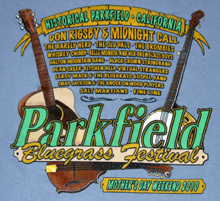 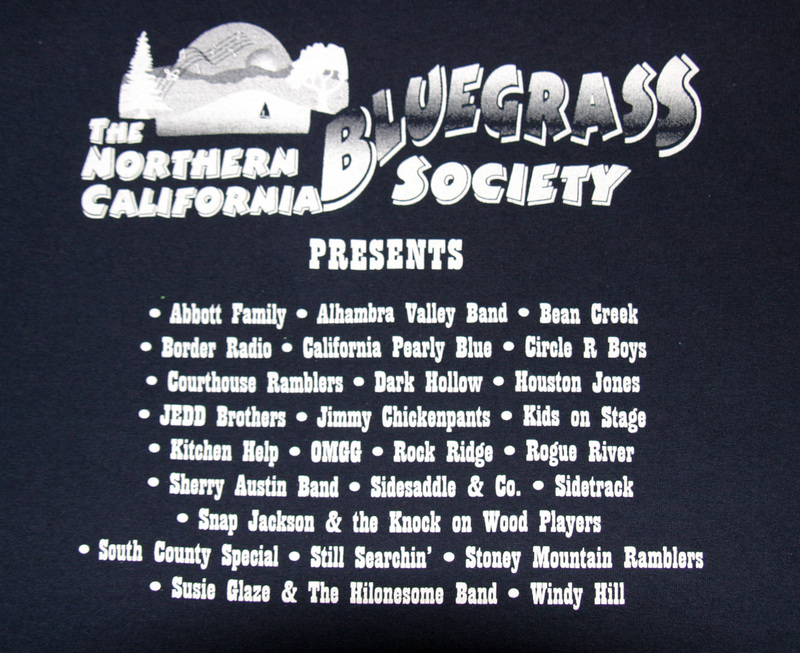 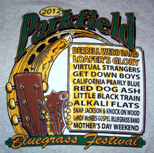 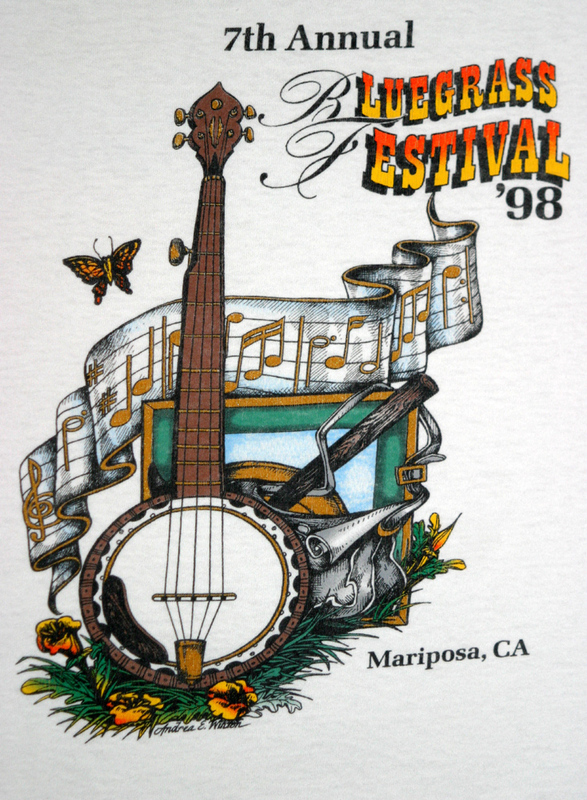 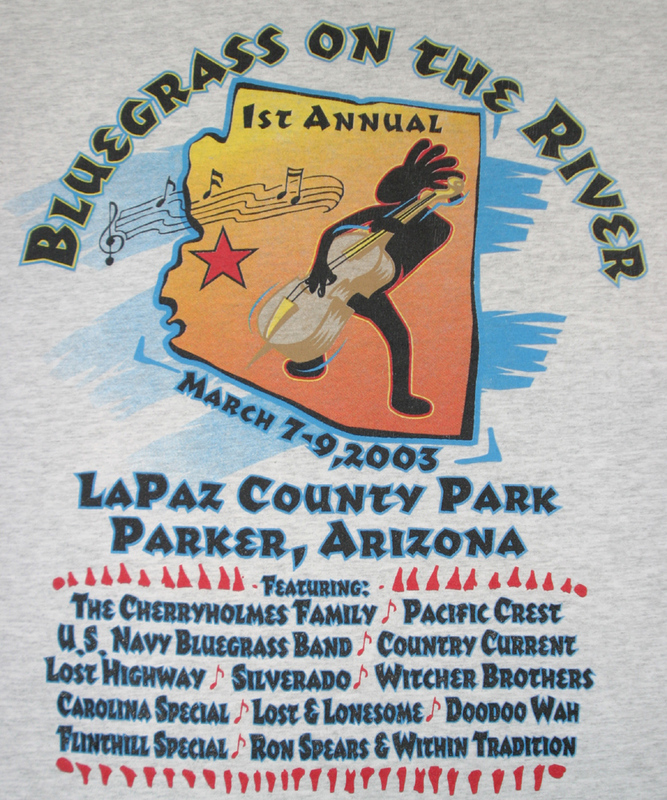 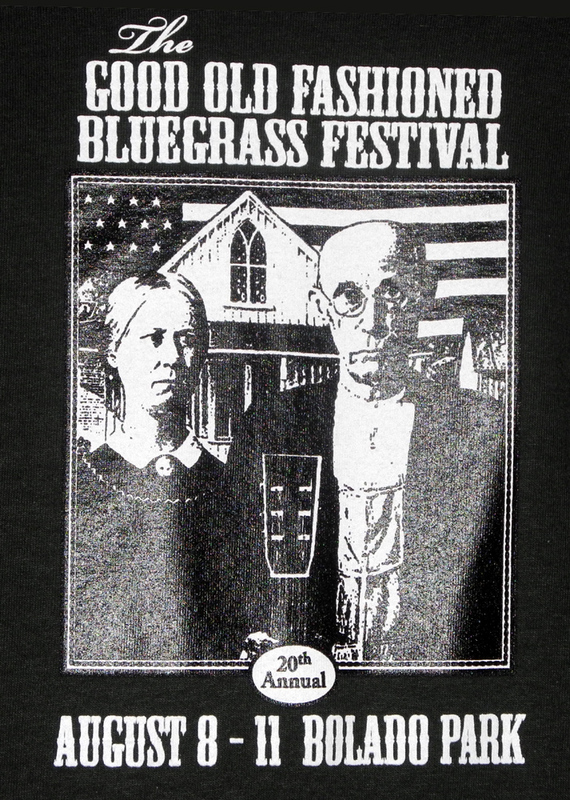 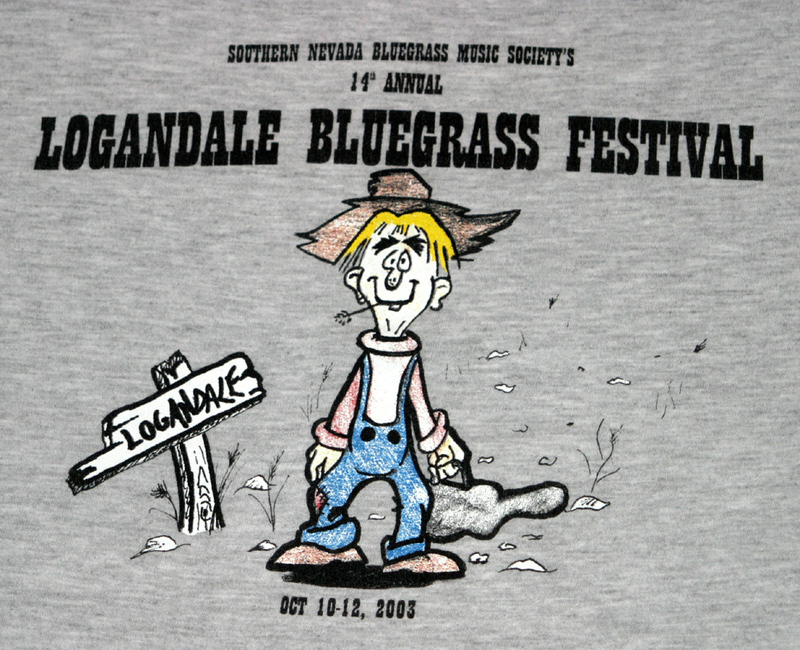 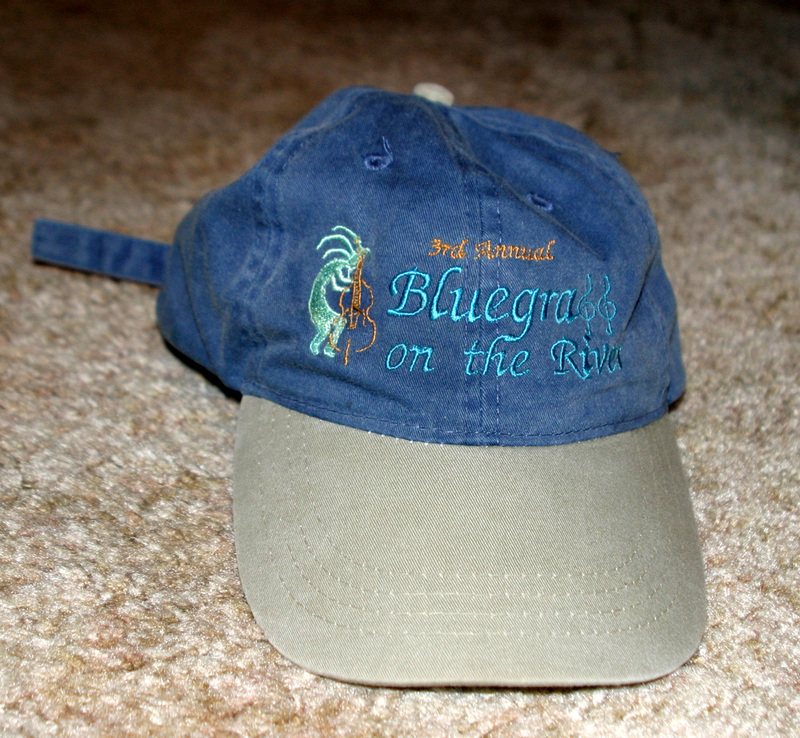 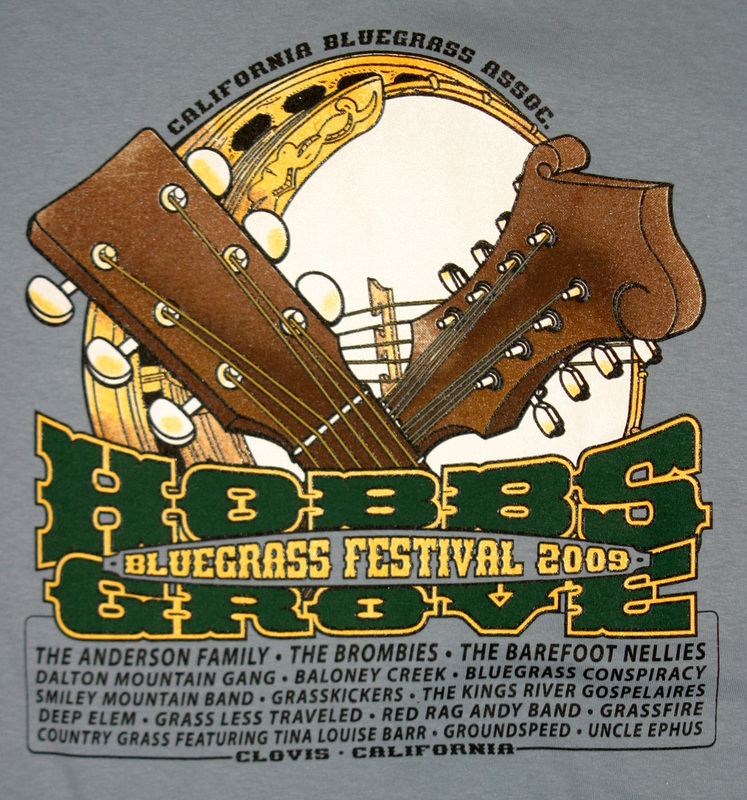 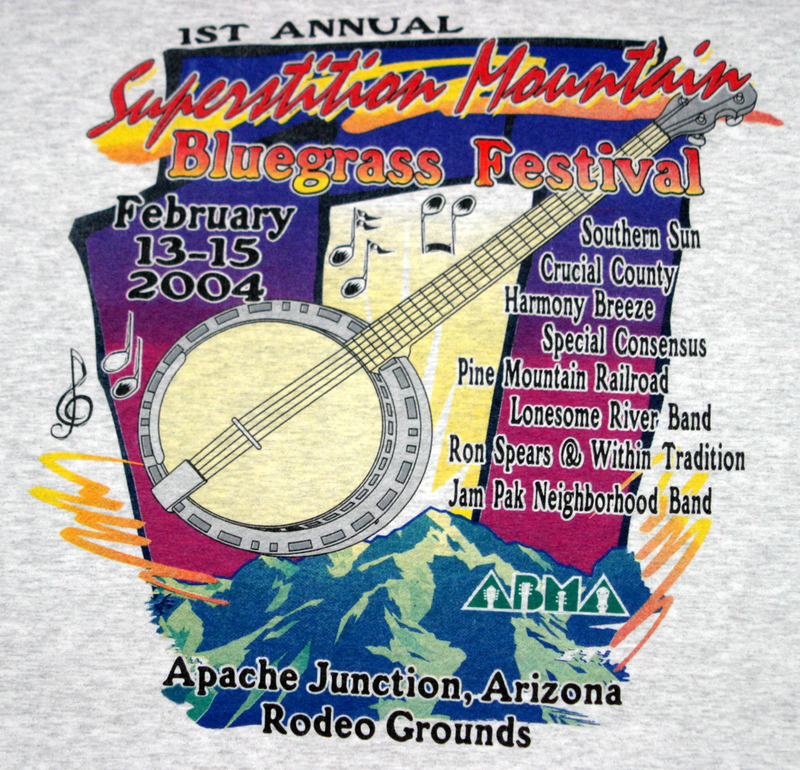 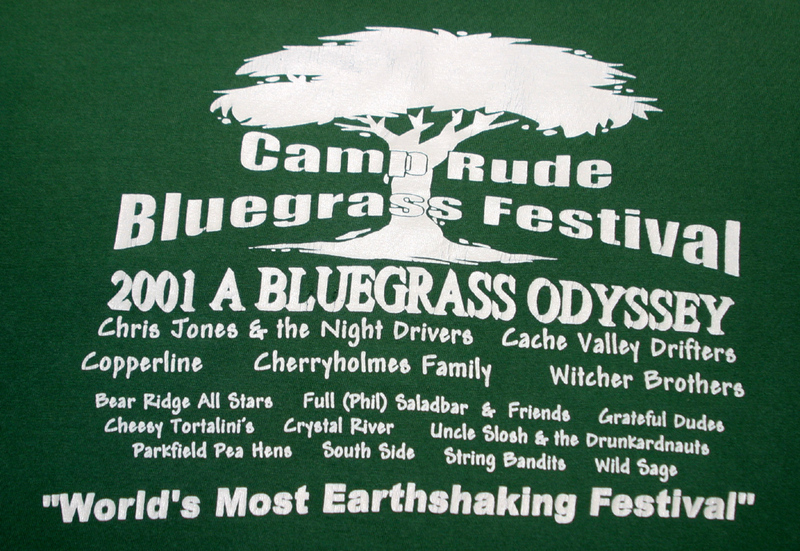 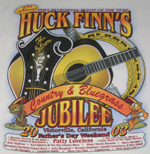 Like many entertainment activities, bluegrass festivals invariably feature T-shirts commemorating the event. 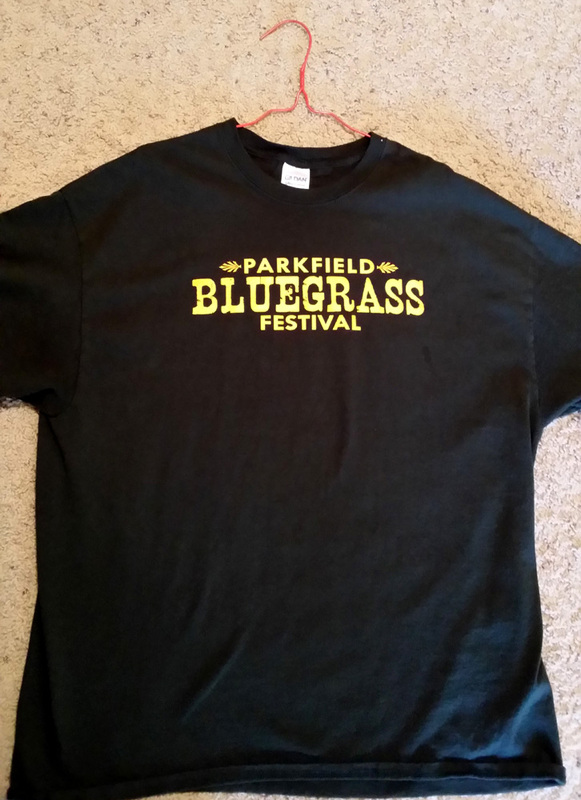 The choices also often include jackets, golf shirts, long sleeve collared shirts, tank tops, long sleeved tees, sweat shirts, and hats. 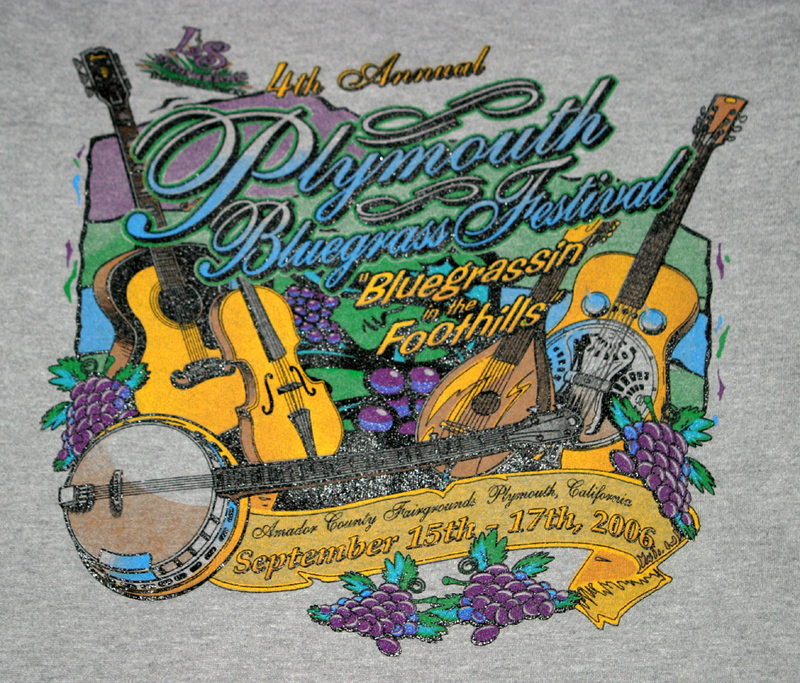 The typical design has a small version of the logo on the left front of the shirt, like a crest, and a full-size version on the back. 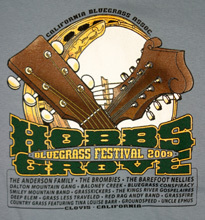 Often the names of the artists appearing at the festival are included in the design. 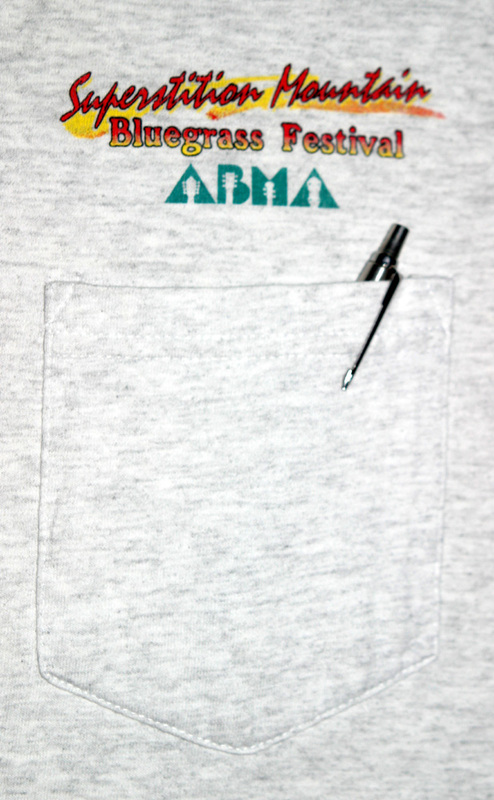 My favorite design has the front crest on a small pocket. 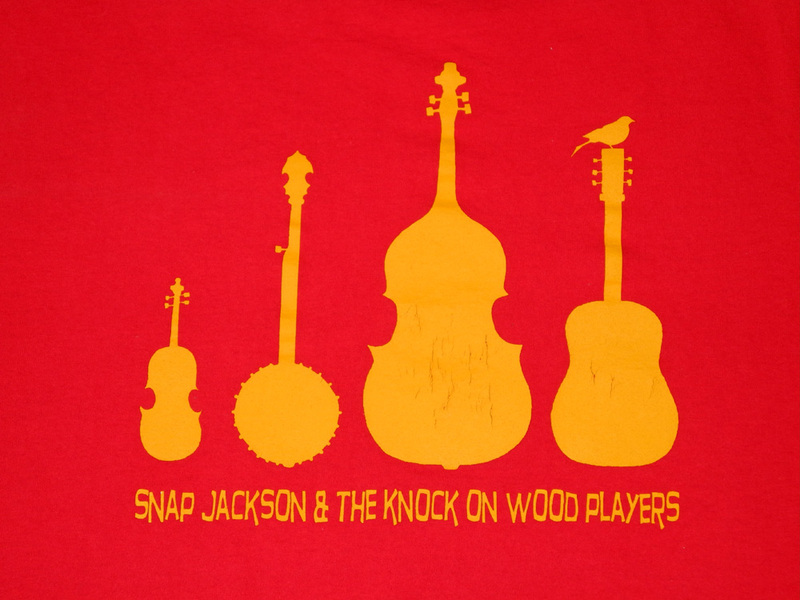 Some artists sell T-shirts promoting their group; the only one I have in this category is the snappy Snap Jackson model. 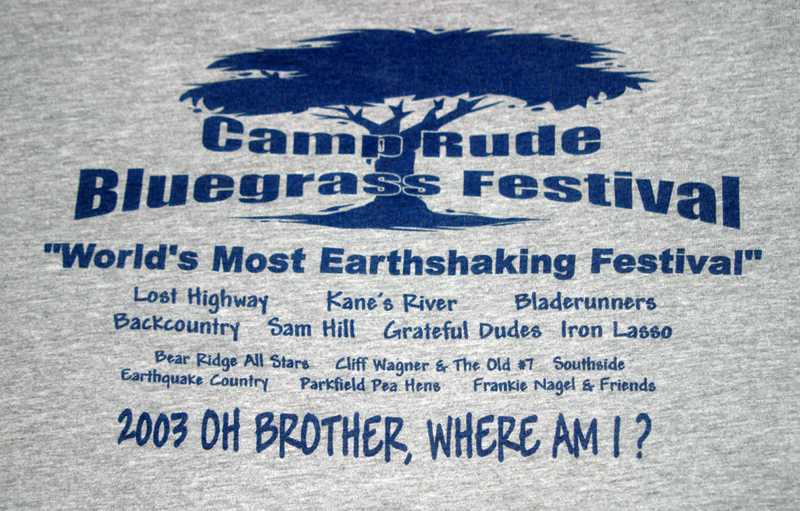 Below you will find the artwork from most of the souvenirs I've purchased at the various bluegrass festivals I've attended since 1998.